Being a late 80s bike which by some oversight got produced right into the 21st century, my GS’s lights have trouble attracting moths, and for the same reasons the alternator doesn’t have much poke either: a puny 200W at 5000rpm. But one real advance in lighting technology in recent years are LED riding lamps: a lot of extra light for very little draw on the electrical system – a win-win situation. Zen Overland sent me the mini SR-M (along with other stuff, in exchange for an ad in AMH), the smallest in the Rigid Industries range putting out 700 lumens, but drawing less than an amp. About 700 is not so much – Petzl now make a head torch putting out that level of brightness, but let’s see how much you actually need. I’ve found in the past superbright headlights lighting up the other side of the country aren’t the main goal – a spread of light is what counts. I fixed my lamp in a bit of a rush ahead of a long ride back south. Access to stuff like electricity was a bit of a faff; the nearest town being 25 miles away, but an old brake bracket with the right holes bent out to mount the lamp off the headlight’s side. You can tell this is really a car light unit – the battery terminals are huge, the cable lengths are a bit off and the on-off switch would work best pressed into a dashboard, not a handlebar. The cable length from the battery to switch is just long enough, but with my battery under the seat put the light’s fuse annoyingly out of reach under the tank. Meanwhile the switch to lamp cable is three times too long. Better lengths would be the other way round for a bike with the battery in the usual place under the seat. Later I rewired it all, including wiring the lamp to the ignition circuit, not direct to the battery. It’s OK like that inside a car but any brat passing the bike can flick the red switch on. At full stretch I managed to get the red switch on the front left of the tank where it’s easy enough to operate on the move. Obviously on the bars would be best using a more suitable switch. The lamp itself looks as rugged as a baked walnut and the plug from it to the wiring loom is well sealed, again hinting at its intended car application. Where I’m living at the moment, at this time of year when it’s a cloudy night you have trouble walking outdoors without a torch. Being more accustomed to star-lit Sahara nights, this total blackout caught us out walking back from the neighbour’s one time. We had to feel our way home with our feet on the tarmac. Good conditions for testing the effect of the SR-M, then! 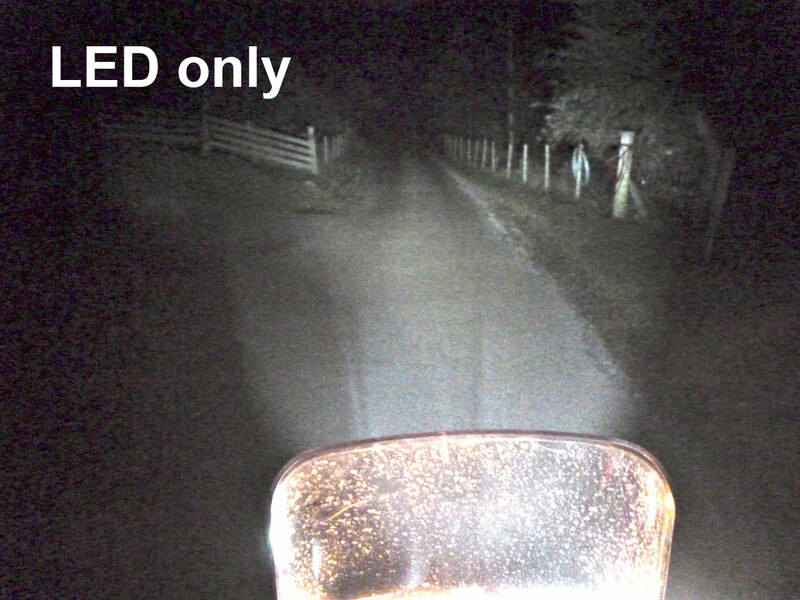 The pictures here have been enhanced but show the SR-M against the warmer Suzuki OE headlamp. Click to enlarge. I don’t feel they fully convey the added brilliance the SR-M adds to the scene, but especially backed up with high beam you light up a whole lot more. It’s possible the LED was too high itself and will need aiming down if it’s to be used as a full time beam. As it is it’s dazzlingly bright to look at in a way you can’t say of the OE filament bulb light. All the books say you ought not ride at night in the AMZ, but as we all know there are times when that has to be done. Along with an appropriate speed, good lighting is the key to dealing with the many hazards out there and for the price, ease of mounting as well as the ‘redundancy’ value should you main light pack up, an SR-M or something like it is well worth fitting to your overland machine. 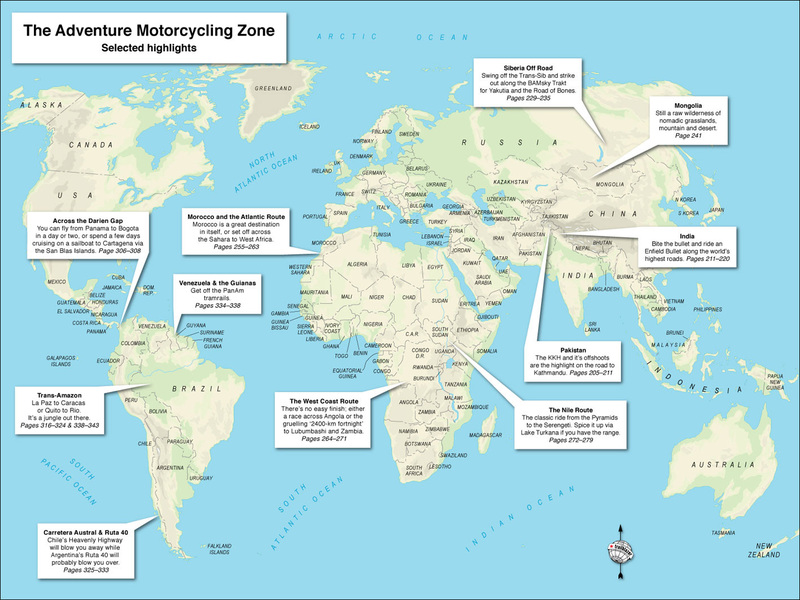 I can see that from now on riding with just the Suzuki’s standard lights on unlit roads is going to be a bit like going back to a typewriter to write letters. I’ve since wired out the 24/7 headlamp and started using the LED as an ultra bright day riding light in towns which if nothing else saves the charging circuit. 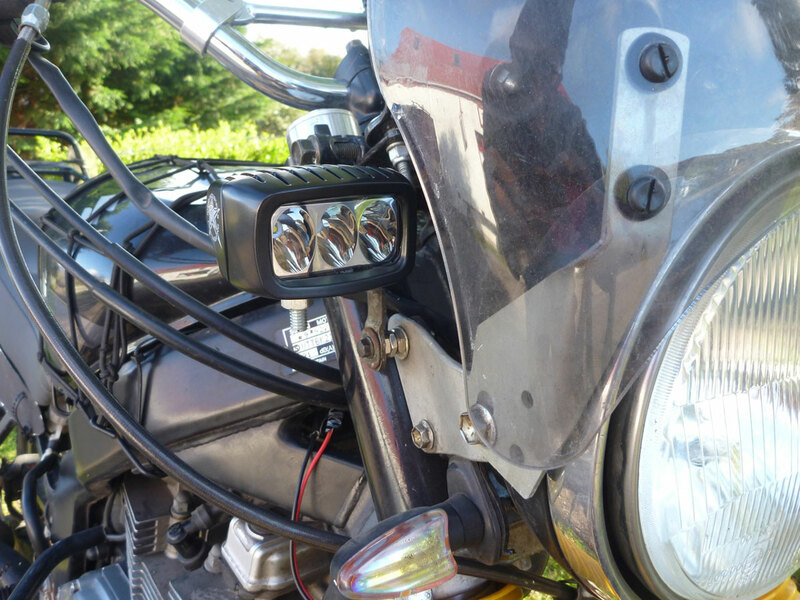 Especially on an older bike, for the reasons mentioned a light like this is a valuable accessory, providing added or auxhilary illumination with minimal weight and bulk and without blighting the charging system. 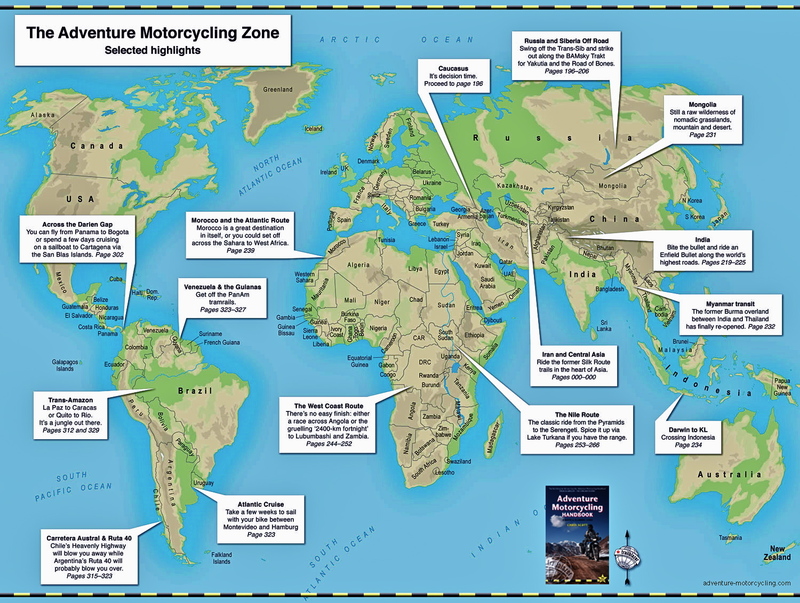 This entry was posted in Adventure Motorcycling Gear Reviews, AMH News, Project Bikes, Suzuki GS500R Overlander and tagged led lights, Rigid Industries SR-M, Zen Overland. Bookmark the permalink.